Come and experience the latest trend in relaxation, adult coloring! Studies show coloring can have a calming effect on the adult mind and helps promote overall wellness. Coloring pages from books designed especially for adults as well as colored pencils and crayons will be provided. Get together with others and color. Every Friday from 10:00 a.m.-Noon. The Kilbourn Public Library accepts and appreciates donations of used books, CDs, videos, magazines or DVDs. If you are cleaning out your closets or garage please think of donating your used items to the library. The Friends of the Library turn your donations into money for the library at their book sales. Items may be dropped off at the library. 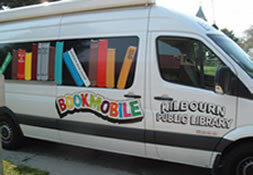 If you have a large donation we can send the bookmobile out to pick it up. Your donation is tax deductible. We are also on the lookout for Wisconsin Dells High School Yearbooks. Don’t throw those old yearbooks away - donate them to the library for our local reference shelf. AND - if you have Legos that you are wanting out of your space - put them in ours. We are always looking for more to add to our collection.